National Chairman, Paul Semple (above), will take up the post of General Manager of Waverley Excursions Ltd full time on Monday 18th February 2019 in succession to the previous Chief Executive. This represents a significant change of career path for Paul as he presently holds a post as a Principal Teacher of Chemistry and Physics, a role he will be leaving on Friday 15th February. As his new appointment is in a different part of the PSPS organisation, he is standing down as PSPS National Chairman and Scottish Branch Chairman on 31st January. 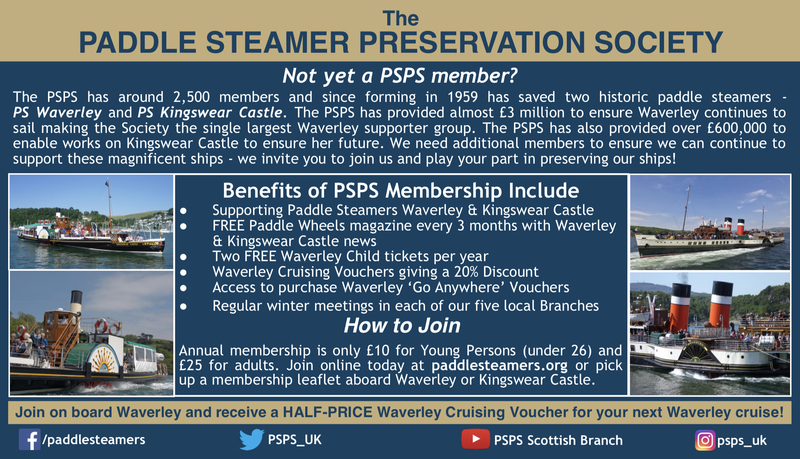 He will remain a member of the Society's Council of Management to ensure strong links are maintained with the Waverley companies. Current Vice Chairman Gordon Wilson will cover the period until the next Council meeting on 9th March when the appointment of a new Chairman can be considered. Peter Morley, currently PSPS Company Secretary, has offered himself as Interim Chairman with Gordon remaining as Vice Chairman. It is envisaged that the meeting will also start a process to identify suitable candidates to take on the Chairmanship on a longer term basis. Paul said "I have appreciated the support from Council members and the membership during my short spell as Chairman. In many ways I have been afforded the freedom to get on with the job." 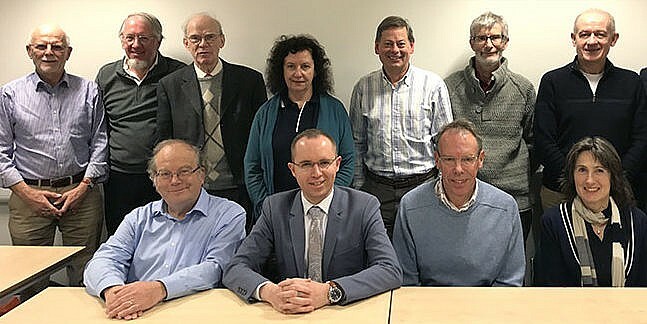 PSPS Council members after the appointment of Paul Semple as Chairman in November 2017. Gordon Wilson (front row second right) will remain as Vice Chairman.